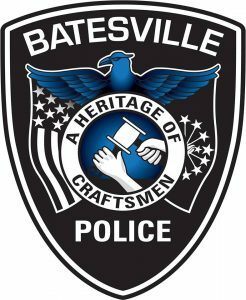 The Batesville Police Department is currently accepting applications for the position of Police Officer. During the hiring process applicants will be required to subject themselves to various forms of background checks, physical fitness testing, written aptitude testing, an interview process, and other testing that may be deemed appropriate. Resumes will be accepted only if accompanied by an application. Deadline for all applications and resumes is Monday, November 20, 2017. The City of Batesville is an Equal Opportunity Employer. This entry was posted on November 14, 2017 by Steven Harmeyer.